Allervia is a natural solution to dust mites. Allervia sends out ultrasonic sound waves that cannot be heard by humans. Thanks to these sound waves the life cycle and reproduction of dust mites will shorten. Many people are allergic to dust mites though many of them are unaware of this. Over exposure to dust mites can cause a runny nose, stuffy nose, sneezing, coughing and laboured breathing, and can even lead to the development of eczema, hay fever or asthma. Allervia is an electronic devices that repels dust mites by means of ultrasound and acts as a preventative measure. The ultrasound waves have an influence on the reproduction of dust mites. The benefits of the use of Allervia are visible after 6 weeks of continuous use. The Allervia contains no chemicals and is environmentally friendly. 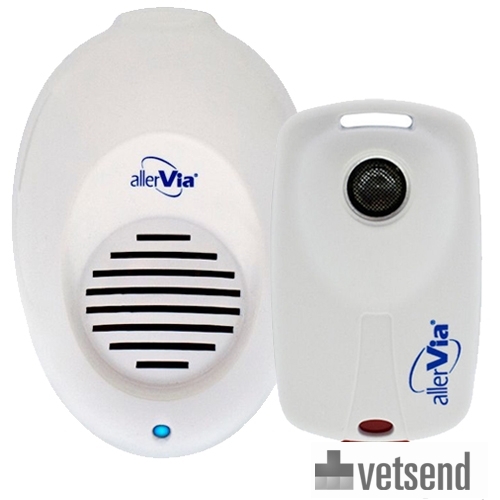 Allervia-E: is a device that plugs into a socket (220-230V). When the in use, a blue light will appear that shows that the device is working. For best results keep Allervia-E plugged into the socket continuously. Allervia-B: works with a non-replaceable lithium battery and has a lifespan of 10 to 12 months. It is best to ensure that the top of the Allervia is always free from obstruction, so that the ultrasound waves can spread into the room and does not get blocked. Also, please note that a high humidity can effect the speed of the ultrasound. The range of this product is 60-80m3. The high frequency sound is not able to go through walls. Have you used Allervia before? Let us know what you think about this product.